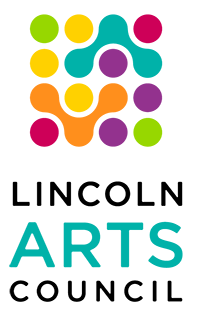 Mayor Chris Beutler and the Lincoln Arts Council (LAC) have announced the winners of the 2014 Mayor’s Arts Awards, which will be presented the evening of Wednesday, May 28 at the Lied Center for Performing Arts. The awards formally recognize artistic contributions and achievements in the Lincoln area. For the first year, the Legacy of Art Award will recognize a senior (age 55 and up) actively involved in creating, teaching, sharing or inspiring artistic expression in any discipline. Award-winning fiddler and noted folk scholar David Fowler will be the first recipient. The new award is sponsored by Legacy Retirement Communities. The Mayor’s Choice Award will be presented to arts supporters Marc and Kathryn LeBaron. The award is sponsored by Cline, Williams, Wright, Johnson and Oldfather LLP. The Richard Hay Arts Organization Award will be presented to the Lincoln Boys Choir.  The award recognizes an arts group that has made significant contributions to Lincoln’s arts community over a period of years. It is provided through a bequest to the LAC from the late Dr. Richard Hay. The Outstanding Event Award will be presented to the Hildegard Center for the Arts for its “Heroes Among Us” project. The award recognizes a performance, exhibition or project in the previous year that will be notable in the community memory for years to come because of its content or cultural significance. It is sponsored by Speedway Properties. The Artistic Achievement Award - Visual Arts will be presented to floral designer Conrad Quijas. The award recognizes excellence and accomplishment in any of the visual arts, including theatre and film. It is sponsored by Joe and Judye Ruffo. The Artistic Achievement Award - Performing Arts will be presented to pianist, composer and teacher Tom Larson. The award recognizes excellence and accomplishment in any of the performing arts, including film. It is sponsored by Madonna Rehabilitation Hospital. The Artistic Achievement Award - Literary Arts (formerly the Literary Heritage Award) will be presented to longtime journalist Gil Savery, who had a 44-year career at the Lincoln Journal. The award recognizes excellence and accomplishment in writing and literature. It is sponsored by the Lincoln Journal Star. The Artistic Achievement Award - Youth will be presented to award-winning visual artist and writer Katharen Hedges, a student at Lincoln North Star High School. The award recognizes excellence and accomplishment in any arts discipline by a young person age 18 or younger. It is sponsored by Lincoln Industries. The Gladys Lux Education Award will be presented to Art Van deLux, a mobile visual arts program based at the LUX Center for the Arts. The award recognizes special initiatives in or dedication to arts education and is endowed by the Gladys Lux Foundation. The Heart of the Arts Award will be presented to Marthaellen Florence for her work on Jazz in June and other arts initiatives. The award recognizes an individual or organization for outstanding volunteer dedication to the arts or for making a major overall impact on the arts in Lincoln. It is sponsored by Talent Plus, Inc. The Halcyon Allsman Benefactor of the Arts Award will be presented to Friends of the Lied, which has raised more than $4.3 million for the Lied Center for the Performing Arts. The award recognizes an individual, family, organization or business for making significant financial contributions to the arts. It is sponsored by RUNZA® Restaurants. The Lincoln Community Foundation Arts for Kids Award will be presented to Union Bank & Trust for its sponsorship of the LAC’s Community Supported Arts program, which included the opportunity for North Star students to create clay rattles. The award recognizes an individual or organization from outside of the arts professions whose leadership has enhanced arts activities and experiences for children. It is sponsored by the Lincoln Community Foundation. The ArtScene Backstage Award will be presented to former LAC President Juliana Hagemeier, General Manager of UNL’s Johnny Carson School of Theatre and Film. The award recognizes extraordinary service to the arts through behind-the-scenes efforts and is sponsored by A to Z Printing. The City Urban Design Committee has selected Fallbrook and Antelope Creek Village for the Enersen Urban Design Awards, which are sponsored by Clark Enersen Partners. The Kimmel Foundation Emerging Artist Awards will be presented to playwright Becky Key Boesen and visual artist Ashley Ryba. The awards include $1,000 stipends and residencies at the Kimmel Harding Nelson Center for the Arts. The awards are sponsored by the Richard P. Kimmel and Laurine Kimmel Charitable Foundation. The awards being presented to this year's winners are being created by Lincoln artist Margaret Berry, who uses beeswax-based paint to create encaustic paintings. 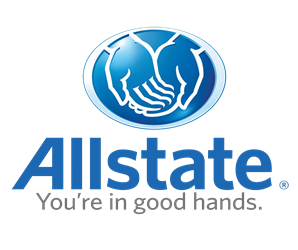 2014 Video Sponsors are Liberty First Credit Union, St. Elizabeth Regional Medical Center and Steve Wake. Additional support for the Mayor's Arts Awards is provided by Black Hills Energy, Jerry and Annette Hall, Farmers Mutual Insurance Company of Nebraska, Ann Rawley, Wayne Boles and Cornhusker Bank. For more information on available sponsorship opportunities, contact Lori McAlister at 402-802-2099 or lori@artscene.org. The public is encouraged to submit names and photos of members of the Lincoln arts community who have died since the last awards ceremony in June 2013 for memorial recognition at the awards event. Information can be sent to mayorsartsawards@artscene.org.